Wow, what a busy time we've been having of late here at HQ. So much activity going on here I really genuinely need to keep looking at the date .... "It's Tuesday 11th so it must be the Sewcial", kinda thing! Yes it is the Sewcial tonight so if you're reading this and still haven't told us you're planning to come shout soon so we can save you a bit of cake. We also have the very first daytime Sewcial here this Friday 14th 10.30-12.30. Can't wait to see what all you lovely ladies are bringing along. Next week we've got two fantastic workshops lined up. On Tuesday we have the lovely Sam Molloy here showing us how to make beautiful pictures using free motion embroidery. The class was an instant sell-out but we have two more coming up in January and February. This workshop would make a lovely Christmas present for someone creative! Then on Thursday 20th at 7.30pm Jacqui will be showing you how to add a splash of customised colour to your home with a bespoke lampshade. We still have a couple of spaces left on this class plus our daytime class that's happening at 10.30am on Wednesday 26th November. We've also got some fantastic makes for the kids as well as beautiful ways to add some festive cheer at home.... and for those of you who are thinking it's waaaay too early to be talking Christmas, remember that fortune favours the prepared - and that the time WILL whip by like a flash - it always does, doesn't it? Hell, we're even choosing Christmas fabric for NEXT YEAR tomorrow. Well it's better than looking at it in January! It's The Sewcial again this Tuesday 21st and it looks likely to be full to the rafters! If you haven't been in touch already, do let us know if you plan to come - we don't want to have to turn anyone away! We've had such a busy couple of weeks in the studio with all sorts of workshops going on. There have been so many amazing things created in such a short space of time - I promise to share them with you all here very soon. I'm off to bed - another busy week at HQ beckons. We had our first ever workshop in the new Make Studio on Tuesday and it was everything we'd dreamt it would be! It's so fantastic to finally be able to say we're in our very own space with lots of colour, a huge cutting table that we can change the height of (no more aching backs), lots of light and of course, lots of space. Of course the fact that the first class was Emma May's brilliant Learn to Make a Roman Blind Workshop was rather fitting. Roman blinds take up a lot of space and the cutting table came into its own when everyone was able to simultaneously stand around and get measuring and chopping. We have the second part of this class in a fortnight but it has proved so popular that we have added another date - Saturday 1st November. We now have only one more space, so if you're interested then book it quick! 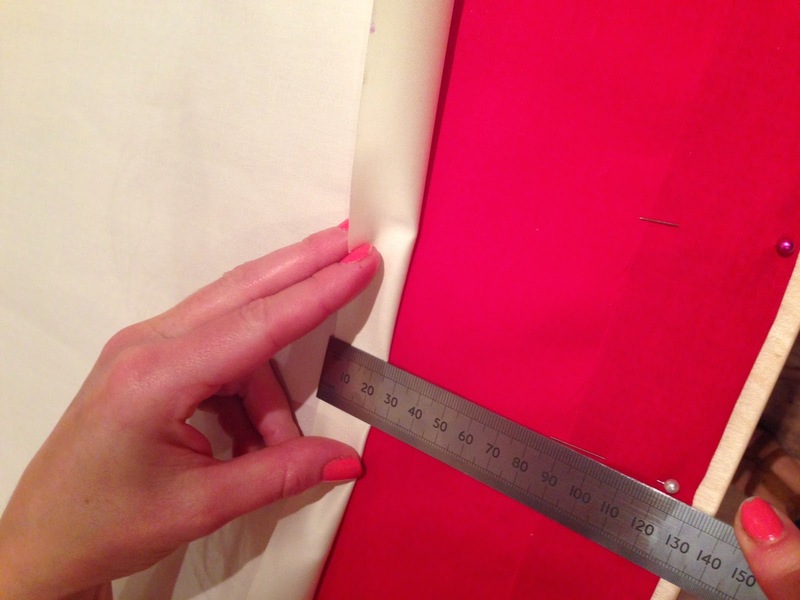 We also have the gorgeous By Hand London Anna Dress Workshop starting next week with only two spaces left if you want to make this beautiful dress that suits just about everyone! We're also now able to add another Sewcial per month to our calendar of events - oh yes! 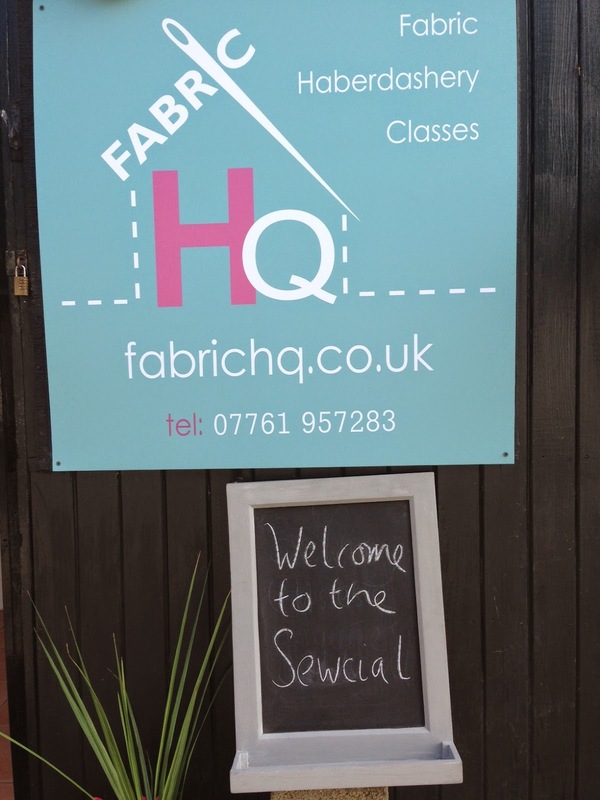 We have the very first Sewcial at Layby Farm this Tuesday 23rd September. Do let us know if you plan to come along and we can save you a spot. It's 7.30-9.30pm £7 as usual and there's plenty of free parking. Bring a project, get stitching, drink tea and eat cake - you'll be in good company.